During the first half of 2016 Proxima Centauri was regularly observed with the HARPS spectrograph on the ESO 3.6-metre telescope at La Silla in Chile and simultaneously monitored by other telescopes around the world. This was the Pale Red Dot campaign, in which a team of astronomers led by Guillem Anglada-Escudé, from Queen Mary University of London, was looking for the tiny back and forth wobble of the star that would be caused by the gravitational pull of a possible orbiting planet. The Pale Red Dot data, when combined with earlier observations made at ESO observatories and elsewhere, revealed the clear signal of a truly exciting result. 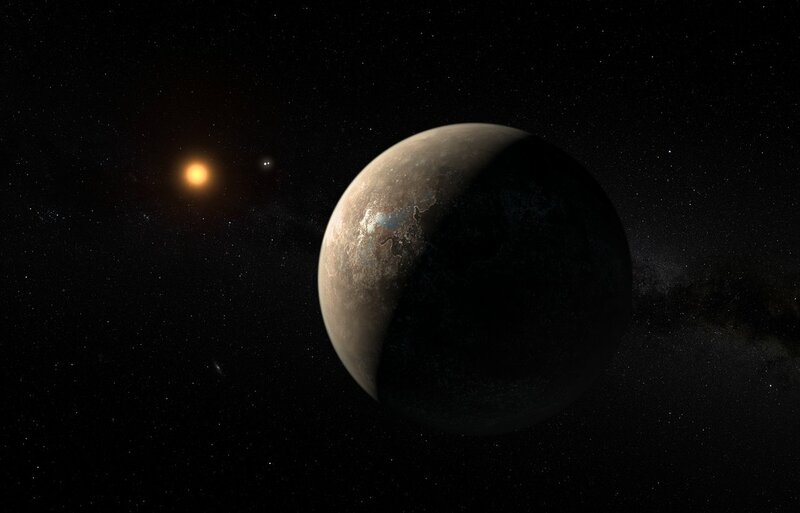 At times Proxima Centauri is approaching Earth at about 5 kilometers per hour — normal human walking pace — and at times receding at the same speed. This regular pattern of changing radial velocities repeats with a period of 11.2 days. Careful analysis of the resulting tiny Doppler shifts showed that they indicated the presence of a planet with a mass at least 1.3 times that of the Earth, orbiting about 7 million kilometers from Proxima Centauri — only 5% of the Earth-Sun distance. “In our earlier measurements, the signal for the planet with a period of 11.2 days is visible, but there is no way of telling whether the signal indicates the presence of a planet or is the result of random fluctuations. When combined with the new measurements, on the other hand, the earlier signal is a strong indication that what the Pale Red Dot campaign discovered is a real planet. False signals due to stellar activity would not have remained stable over the past 17 years,” said Martin Kürster of the Max Planck Institute for Astronomy, one of the members of the team. Although Proxima b orbits much closer to its star than Mercury does to the Sun in the Solar System, the star itself is far fainter than the Sun. As a result Proxima b lies well within the habitable zone around the star and has an estimated surface temperature that would allow the presence of liquid water. 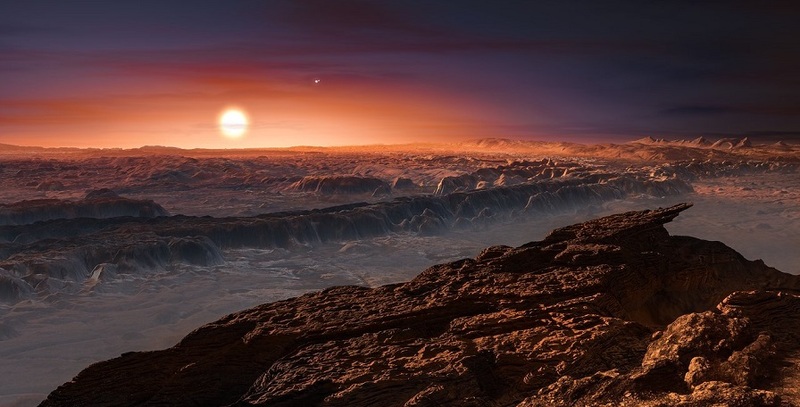 Despite the temperate orbit of Proxima b, the conditions on the surface may be strongly affected by the ultraviolet and X-ray flares from the star — far more intense than the Earth experiences from the Sun. This discovery will be the beginning of extensive further observations, both with current instruments and with the next generation of giant telescopes such as the European Extremely Large Telescope (E-ELT). Proxima b will be a prime target for the hunt for evidence of life elsewhere in the Universe. Indeed, the Alpha Centauri system is also the target of humankind’s first attempt to travel to another star system, the StarShot project. It would be a wonderful thing if there were some form of life on the exoplanet of Proxima Centauri. We could compare notes and rubbish a load of nonsense that we burden ourselves with.